Native American Indians saw the Eagle as a symbol of great strength, leadership, and vision. The eagle has been used as a tribute by many of the great empires throughout history, from Egypt to Rome to the United States. This proudly American Maxam® 15" Decorative Fixed Blade Knife was created to showcase the rich Eagle heritage. Featuring a stainless steel blade with eagle etching and faux antler handle, this proud knife mounts in an equally impressive faux deer antler display stand, and is held aloft by a fellow Eagle. 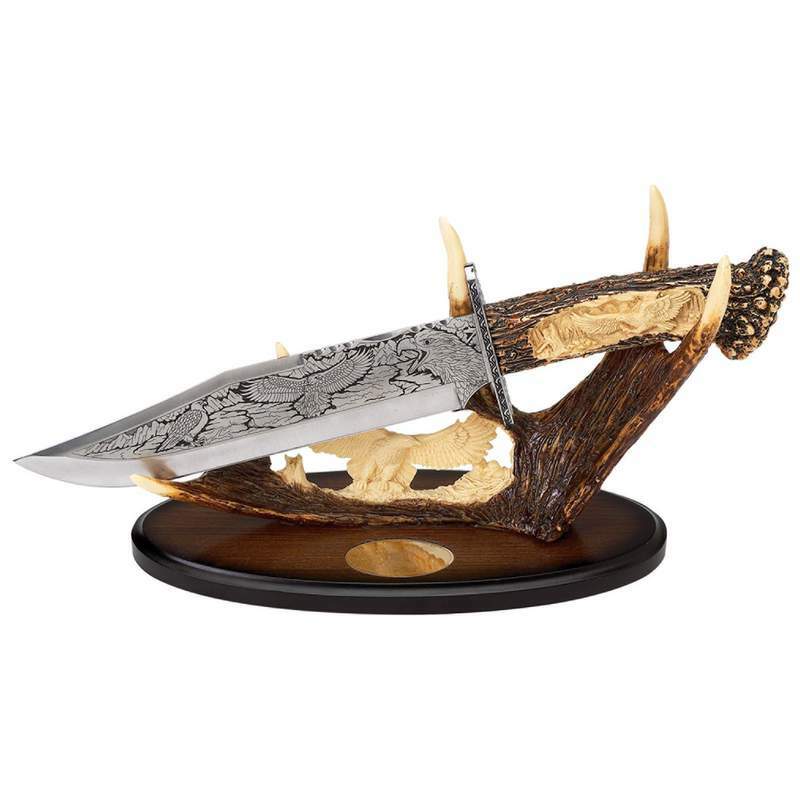 Stunning gift for the knife collector or the person that has everything. Limited lifetime warranty. Gift boxed.